Stone paving like Porphyry is an element of hardscape used in a woonerf. The first of many opportunities to use the concept of a woonerf is happening in one of the multi faceted areas under the influence of Waterfront Toronto. This area is called the West Dons Land, one of the six main areas of development. The use of stone paving is prevalent in current designs throughout all the areas. Woonerf style – an innovative street design – will be used for some of the area’s local interior streets. Woonerfs, or living streets, are pedestrian-oriented roads that blur the boundary between sidewalk and street and provide a common public space shared by pedestrians, cyclists and low-speed motor vehicles. Commonly found in Europe and elsewhere, the West Don Lands is the first place they will be used in Toronto. If all goes well, woonerfs may pop up elsewhere along the waterfront, but never in place of arterial roadways. “There have been a lot of Utopian ideas in the past about car-free zones. That’s not what this is,” said Mr. Christopher Glaisek, Waterfront Toronto’s vice-president of design. Traditionally, the space has no curbs. This changes the character of the street, forcing drivers to slow down when entering the area. One aspect differentiating Toronto’s woonerf from its Dutch ancestor is a “rolled” curb, acting as a subtle cue for pedestrians and the visually impaired. It will be paved with a “Brussels block,” named after the Belgian city’s stone streets. “In theory, you can subject it to plowing on a regular basis without risking popping stones out,” said Mr. Glaisek. Christopher Glaisek is Vice President of Planning and Design for Waterfront Toronto (formerly the Toronto Waterfront Revitalization Corporation). An architect and urban planner for over a decade, in his current role he manages all precinct planning, public realm and building design initiatives in the central waterfront. Prior to joining Waterfront Toronto, Mr. Glaisek was Vice President of Planning, Design, and Development for the Lower Manhattan Development Corporation. Formed in the aftermath of the terrorist attacks of September 11, 2001, the corporation spearheaded the Lower Manhattan rebuilding effort. Mr. Glaisek was instrumental in devising the Innovative Design Study that led to the selection of the Daniel Libeskind master plan for the World Trade Center site. He also produced revitalization plans for several neighborhoods surrounding Ground Zero. 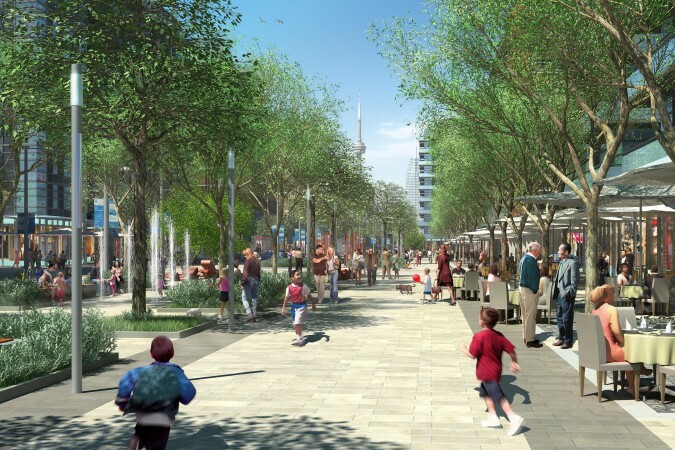 Formally created in 2001, Waterfront Toronto has a 25-year mandate to transform 800 hectares (2,000 acres) of brownfield lands on the waterfront into beautiful, sustainable mixed-use communities and dynamic public spaces. The project is one of the largest infrastructure projects in North America and one of the largest waterfront redevelopment initiatives ever undertaken in the world. However, it is not just the sheer scale of the project that makes it unique. Waterfront Toronto is delivering a leading edge city-building model that seeks to place Toronto at the forefront of global cities in the 21st century. A primary objective of waterfront revitalization is to leverage the infrastructure project to deliver key economic and social benefits that enable Toronto to compete aggressively with other top tier global cities for investment, jobs and people. 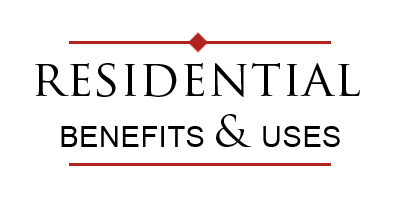 To do this, Waterfront Toronto brings together the most innovative approaches to sustainable development, excellence in urban design, real estate development, and advanced technology infrastructure.